Collecting and traveling go together it seems. We may graduate from plastic key rings and shot glasses to more sophisticated baubles; nonetheless, an ingrained desire drives us to collect souvenirs of our adventures. The training ground for becoming a collector most likely started in our infancy. Experts theorize that a positive view of holding on to things develops in childhood. We form emotional attachments to objects, even thinking of it as a relationship of sorts. As children, many of us had a favorite blanket or cuddly toy. For me, it was a pillow for which my dad once drove across three states to retrieve from a roadside motel. For my son, it was white blankie, now tucked away and occasionally brought out to revere. My collecting started with rocks, Cracker Jacks toys, sea shells and eventually graduated to keeping anything my son ever made, wore or played with. Uh, oops, I think that may fall under hoarding. The point is that for most of us, collecting is emotionally driven. We are reconnecting with positive memories and preserving the past for future generations. I’ve cut down on the number of souvenirs I buy now, and I’m more discerning in what I collect. However, if I walk through one of those touristy gift shops, I’m likely to buy at least a t-shirt or two. Few of us are immune. Travel research shows that the majority of people buy some type of souvenir, even though we may differ greatly in what we buy. Some studies show that shopping consumes about a third of travel spending, with souvenir shopping accounting for a significant piece of that statistic. More than 40% of travelers list shopping as one of their favorite destination activities. 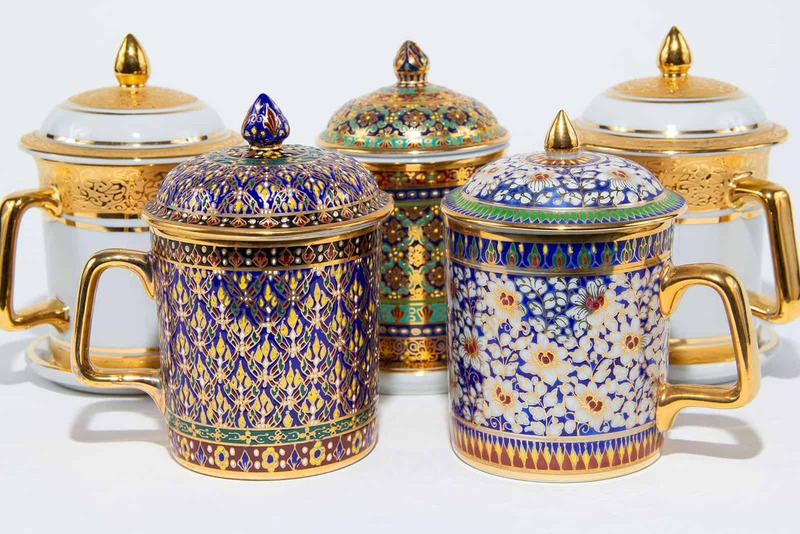 When we collect souvenirs of our travels, we have something physical to embody the memory. But that’s not the only reason. Travel psychologists say there’s more to it. Souvenirs are also physical evidence of our journeys. They even coined a phrase to describe the concept: strategic memory protection. 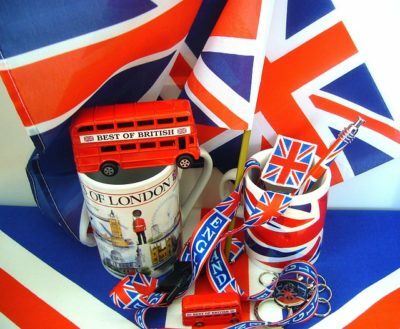 We also collect souvenirs as gifts. Women in particular buy souvenirs for this purpose and are more likely to make souvenirs do double duty as a birthday or holiday gifts. Overall, women are more likely to purchase souvenirs, and they prefer local products. My parents were the masters of buying souvenirs as gifts. We practically needed a whole suitcase to bring back gifts for people in my small hometown of Pawhuska, Oklahoma! For Allene, it was anything with a pig. For my grandpa, it was frogs. We had to buy collectible spoons, figurines, shells, and then there was the rock period. My mom had to bring back a rock from, like, everywhere. I particularly disliked the dirty rocks. It was almost as though we were apologizing for going on the trip. We went on this great road trip, but you didn’t. Here’s your consolation prize. Relaxation and stress reduction. Given that we as humans have an innate need to collect, it’s a relief to know that experts say these hobbies can reduce stress. Researching, acquiring, organizing, and maintaining the collection can be cathartic. Appreciation of beauty. A collection can be a source of beauty for ourselves and others. Someone out there will see beauty in your bug collection. Education. We not only learn as we collect but we also build knowledge that can be shared with others. Think about what stamps have to teach us — everything from history and culture to politics and economics. Competition. Collecting can be a highly challenging activity that takes a certain level of cunning and patience. The process of acquiring adds to the emotional value of an object. Investment. For some people, collecting evolves from hobby to business. The old saying “Time is Money” is certainly true for the vintage watch market. Collecting watches is on the rise, thanks to social media and the advent of watch blogs. Recently, Sotheby’s auction house sold a Patek pocket watch for $24 million — the most ever paid at auction. Social interaction. We tend to get together with others who collect, whether online or at swap meets, to share stories about our collection and make friends with like-minded folks. You can find organizations for almost any type of collection from firearms to dolls to the ever popular stamp. Adventure. It seems we all love the thrill of the hunt. For me, it was the McDonald’s Teenie Beanie Babies. The first and only time I turned in to a crazed mom who just had to get the newest one for my son. I’m fairly sure that on one Saturday in Kansas my best friend and I went to every McDonald’s. *The list below of useful collecting resources contains affiliate links, which means that I may earn a small commission if you purchase an item through the links. This helps me run the site but costs you nothing, so thank you! All recommendations are throughly researched. You can find plenty of online resources and books about specific types of collections (e.g. coins, stamps, dolls), but a general guide to collectibles and their up-to-date values is not so easy to find. Not many exist. The two choices below represent the cream of the crop when it comes to general collecting resources. This is it — the authoritative guide often referred to as the collector’s bible. Warman’s has been around for 70 years and the book is in its 51st edition. Comprehensive listings of nearly 70 categories are illustrated with 1,500 color photographs. Perhaps my favorite part is the introduction that accompanies each category. These sections include history, market trends, and advice from experts. While Warman’s may be the granddaddy of collecting resources, the annual tome published by Antique Trader magazine is hailed as the No. 1 price guide year after year. It’s more comprehensive in terms of categories, subcategories, and photos as compared to Warman’s. The category introductions are also thorough, but the writing is not as sophisticated (but still good) in comparison to Noah Fleisher, the editor of Warman’s. However, if it’s an incredibly comprehensive listing of collectibles and values you want along with nearly 4,000 colored photos, then this is your guide. You can’t go wrong with either choice! We love collecting souvenirs. I think my husband is the master of collecting souvenirs and just influenced me. Our house is literally full of souvenirs as decorations, you will rarely see a typical house decoration. We collect magnets, key chains, mugs, shot glasses, spoons, bells, paper weight, plates, pens, or something unique about the place. We also collect model airplanes, currencies, hotel key cards, and a lot more!!! I think I am going to start collecting dolls. Okay, maybe we are also hoarding. lol. ‘Strategic memory protection’ – that must be it. My husband always tell me that in case we won’t have a chance to visit that place again, at least we have a memento. Wait, your grandpa collects frogs? wow. Yes, Grandpa Holly collected ceramic frogs and made quite a few of them too! I’m so glad I could help give you a new term for your souvenir collecting – strategic memory protection, ha! Be sure and use that when you show friends and family your collection! I don’t think I’ve ever thought about collecting souvenirs as having psychological advantages. Interesting concept. 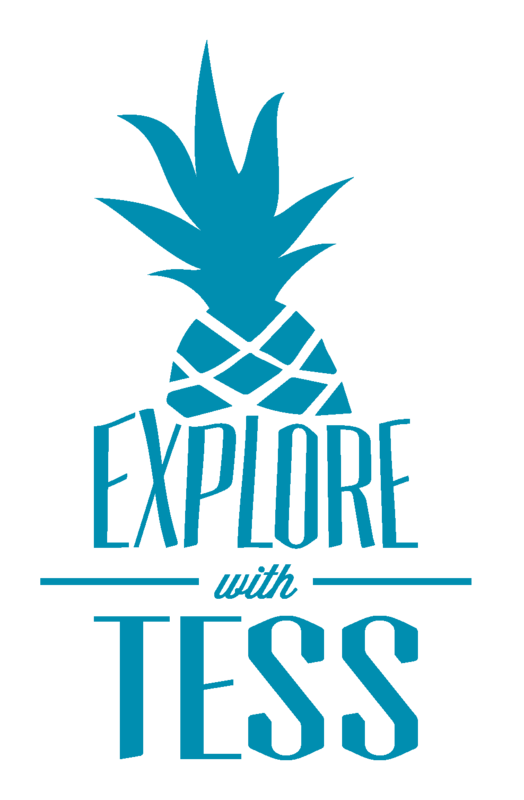 I totally agree with it being an adventure, but education too. I collect a postage stamp for every new country I go to and one of the reasons is I’m always curious as to what’s on the stamp and why! My brother and I were never interested in my dad’s carefully collected stamp collection, but I’m thankful that my son will continue with it. It will become a sort of family legacy to hand down the generations! I do agree that it’s a great way to learn about the place, and I take care to ensure that I am buying something locally made. I love the cover photo you’ve used, such rich colours! I collected the cups from Thailand! What an interesting concept! Strategic memory protection sounds like something I’d like to learn more about. My boyf likes to collect rocks too. I think I fall in the immune category…ha ha! Or, maybe it’s my budget! I’m pretty limited with the souvenirs I buy. Since I travel carry on only, there’s usually not much extra room to buy stuff! I do like to buy scarves every now and then! 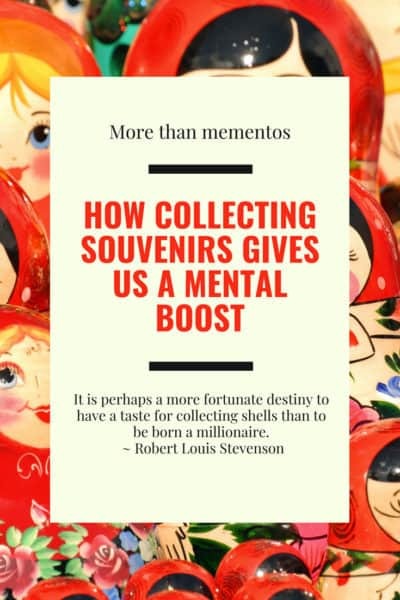 I would agree with the science of travel psychology which says that souvenirs are physical evidence of our journeys Strategic memory protection sounds just about right. We collect souvenirs from everywhere and they enhance every shelf and corner of our home, reminding us about lovely times and lovely places. Great article, I love you did so much research on why we collect things and the emotional connection we get. Which is why hoarders just can’t let go of things. I used to buy more souvenirs and now I mostly shop for others but I sure do love coffee cups. I also love getting things that are handmade that you wouldn’t find at a tourist shop. When I go to a place, I make sure to collect a souvenir. I have collected from Thailand, Malaysia, Dubai, Nepal and all across India. They indeed inspire you to explore more. My fav is fridge stickers. Would explore further on strategic memory protection. Looks interesting. I simply love collecting souvenirs. Initially I used to get a lot of things from one destination itself, but now I have reduced it (thanks to the weight limitations), but make sure to carry one magnet per country at least.